EQ Legal organizes all the cases of your office and offers search ways to find reports which provide a better control over information. The web plataform offers remote access, which means you can access the system from anywhere at any time from a machine connected to the internet. Register the cases and create a virtual folder with all the information like: people involved in the case, deadlines, trials and progress. There are security ways that can define what each person from the office is allowed to do in the system. 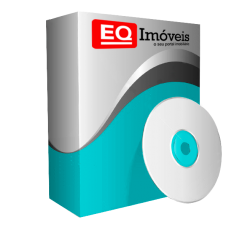 Aiming the high performance, motivated by the necessity of not wasting time the interface is simple and easy to use and the programming made the product faster and highly responsive. The encryption used garantees the security of all the data stored related to the cases and the office. 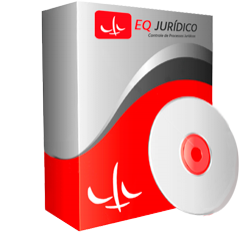 EQ Legal is an online software so it offers remote access, which means you can access the software from anywhere at any time from a machine connected to the internet. Besides the mobility of the system the web plataform guarantees money saving once that the spending with infrastructure and modern machines are not required. – Basic info, people involved in the case, deadlines, trials, progress, documents. IS IT POSSIBLE TO PURCHASE A TRIAL VERSION OF THE PRODUCT? Contact the personal department and through the membership form you can get a trial version. If there’s any doubts, contact our commercial department or the site.